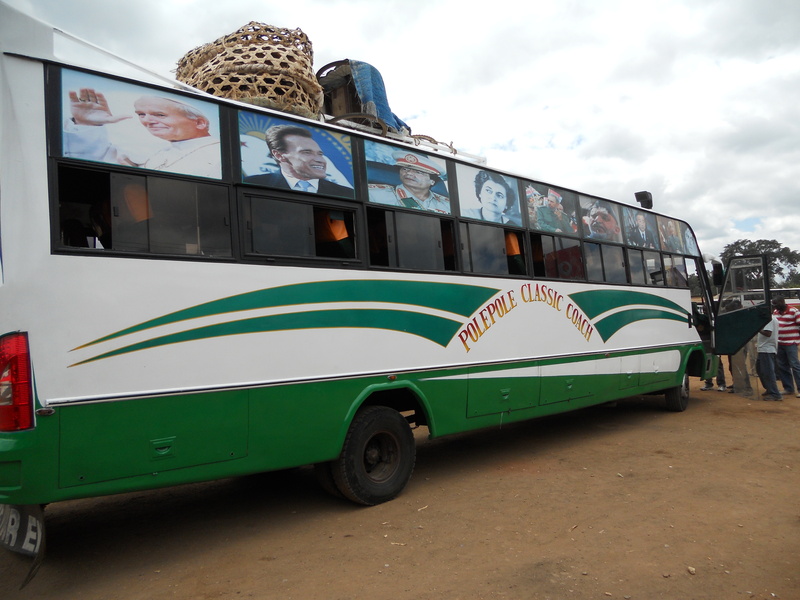 From its name, you might think that Pole Pole is a safe option (you certainly wouldn’t expect it to be an express bus), and I have very little to compare them to, but I suggest not taking Pole Pole when traveling between Arusha and Babati. It’s epically slow. The bus we were scheduled to take at 12:30 arrived late and without half of its windshield. It took nearly an hour to put a different (not new) windshield in. Kudos to the guy who sweat for that entire hour to get it done. If there’s something to be said about those my Malawian friends call “bush mechanics”, it’s that they can literally fix anything under the sun with very few tools while a bus full of passengers watch their every move. My guess is that the previous half windshield read “Jesus” — to complete the phrase “Jesus is Lord” across the full windshield. Now it just said “is Lord.” Keep ’em guessing, perhaps. We expected to be on our way once the half windshield was installed. Of course, we were wrong. It was after the installation that another guy came in to fix the stereo. 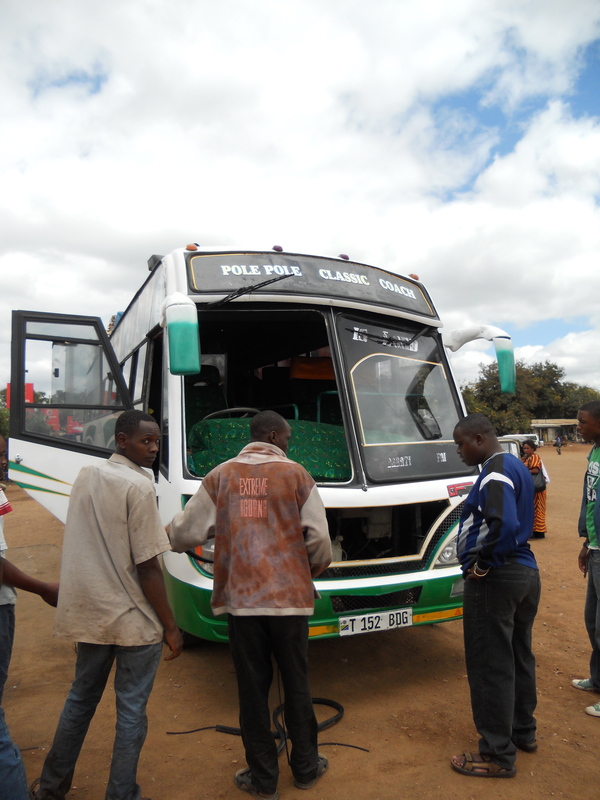 I’m not sure what about rural Tanzania bus travel technology requires a working radio… nor was I clear why the radio could not be repaired during the hour that the windshield was being replaced. I will tell you though, that the radio was never played during our eventual road trip. Once the guy gave up on the radio, we made our way to the other side of the bus stage to load the cargo (just like planes in the US, the commercial sector in Tanzania will use these traveling coaches to ferry goods from one place to another). Then, it turns out, we weren’t going to leave until the bus was full, and apparently no one managed to sell tickets during the hours we spent waiting for things to be fixed. Two hours and fifteen minutes after our scheduled departure time, we manage to sell the last seat on the bus and are on our way to Arusha. Seven stops by traffic police along the way (and a few dropoffs of passengers standing in the aisle) and a cruising speed gets us to Arusha by 6pm. In total, it took me 5 1/2 hours to travel 166 km on a paved road. 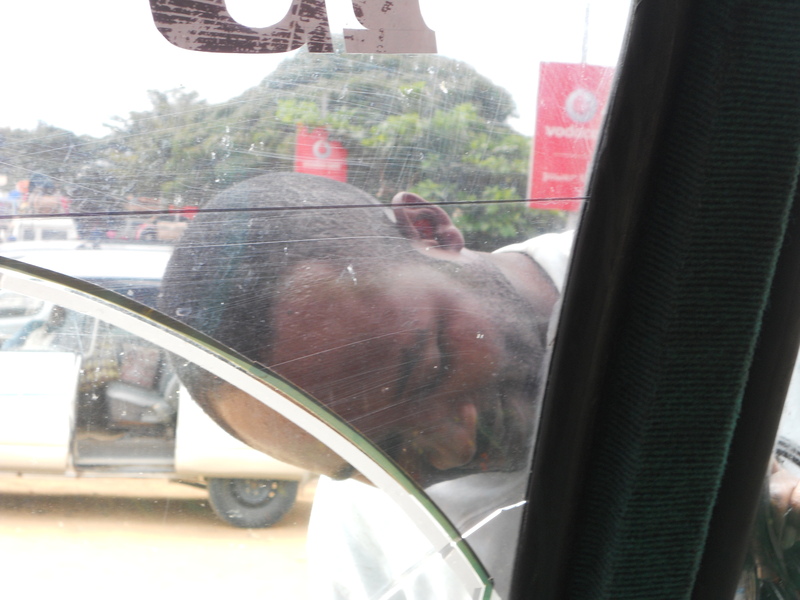 It is amazing how completely unpredictable public transportation can be in S.East Africa eh? Last summer I took a minibus (or death-trap as they are occasionally called) every day for a month from Liwonde to Zomba and back. On a “good” (read: driver probably on speed, death defying speeds…) day, I would be at the archives in 35 minutes. On one particularly memorable occasion, however, it took 4 hours during which time: the tout got in a bloody fist fight with a man over the transportation of 3 live chickens, the driver had to seriously bribe a police officer after waiting for an hour at the road block, and the tout kept climbing over the passengers to hide in the trunk when we got near a roadblock (criminal or just criminally insane?). For all these reasons I should probably stop complaining about the cost of public transportation in Vancouver, eh? and you might not be able to see it, but Michael Jackson is featured over the driver’s seat… Hillary Clinton is on the other side of the bus.